Did you know that, Abu Dhabi’s Etihad Airways has certain dress code for its flights? • Males: Long sleeved jacket, collared shirt and smart trousers. A tie is not necessary. - Sir do you know how I could have back my previous iOS, because this is very ugly, I talked to myself oh my god Its the same feeling that I have. I've heard other opinions like this, also. Why I want iOS 6.1.4 back ?·Design I don’t like it simply because it’s not so captivating and aesthetic as previous ones. The user interface design of iOS was one of the things that I loved in Apple products. It was so different and beautiful, making everything to looks like real. Now it’s so simple, it’s now just ONE OF THE OTHERS. From the point of view of simplicity – Windows Phone is much better and I really don’t understand why Apple decide to make iOS 7 similar to WP ? Another very useful device, when I’m traveling is my iPad 2. It’s very effective especially during my business trips. I still remember the times when I was bringing my old HP notebook, which compared with the iPad weighs a ton. As you may already read my previous post about Iphone update, it’s now time to share with you how I made it with the iPad. 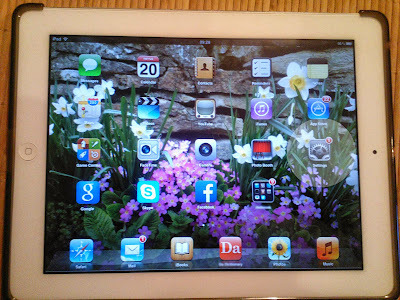 I’m sure you know that iOS 7 is Apple's latest update and its biggest change since iOS debuted six years ago.I succeed to upgrade my old Iphone 4 on Wednesday at 11 a.m. PDT and right after that a notification appear on my Ipad's home screen (settings icon), so I started to work on the Ipad. How I did it?There are 2 approaches to manage with that – over the air, or via iTunes. 1. Wireless update. ·Enter settings menu·Software update·You will see that iOS 7.0 is ready to be installed and it requires at least 3,5 Gb of the available storage. 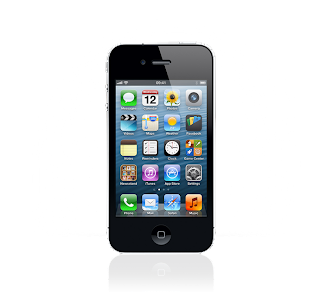 My iPhone 4 is one of the gadgets that is always in my pocket, when I travel. As you may already know - iOS 7 is already a reality. iOS 7 is Apple's latest update and its biggest change since iOS debuted six years ago. 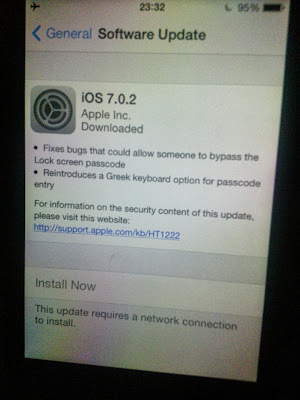 I succeed to upgrade my old iPhone on Wednesday at 11 a.m. PDT (you could read here how to update). 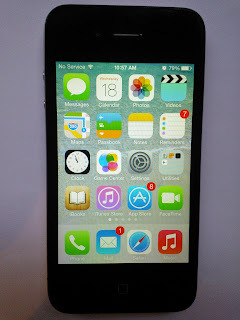 How I update my iPhone 4 to iOS7 ? I was checking minute after minute for the update on my device and on iTunes. Voila , I read that update is ready to be installed. I was so excited that I started to update simultaneously over the air and via iTunes. iTunes started to update to its latest version - 11.1, so I disconnected the phone and continued the update wireless. It took less than an hour until I saw my iPhone's new face.